Can't wait to jump back into the rough-and-tumble world of Yakuza? How about a flashy new trailer to tide you over for now? Our new video shows off some of the fun activities you can indulge in to pass the time in Yakuza Kiwami! 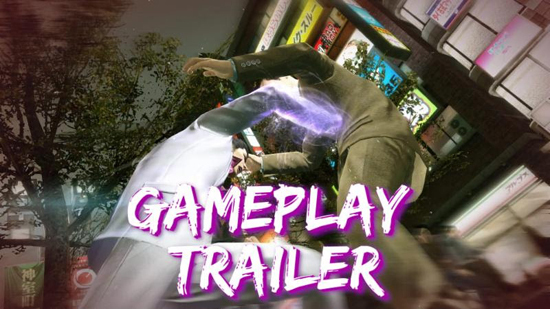 It should come as no surprise that the streets are filled with thugs who are just asking for a beat down, but luckily Kiryu is equipped with four deadly fighting techniques waiting to be unleashed. Educate enemies in the art of fisticuffs with the balanced Brawler, all-powerful Beast, lightning-quick Rush, and unstoppable Dragon styles. Once the riffraff has been dealt with, cool off by exploring the various vices that Kamurocho offers! Classic minigames like Mahjong, pool, and karaoke are back, but new distractions like Pocket Circuit car racing, MesuKing: Battle Bug Beauties, new hostesses, and more can be enjoyed as Kiryu passes the time between fights. Oh, and be sure to check out the Yakuza Experience website, a Yakuza portal where the world of Yakuza can be explored via an interactive timeline and character map. It's a great resource to use if you want to learn about the history, characters, and families in the series. The site also features a 10-issue digital comic, starting with some of the key events of Yakuza 0 and taking you along for the ride all the way up to Yakuza 6: The Song of Life, coming to PS4 early next year.